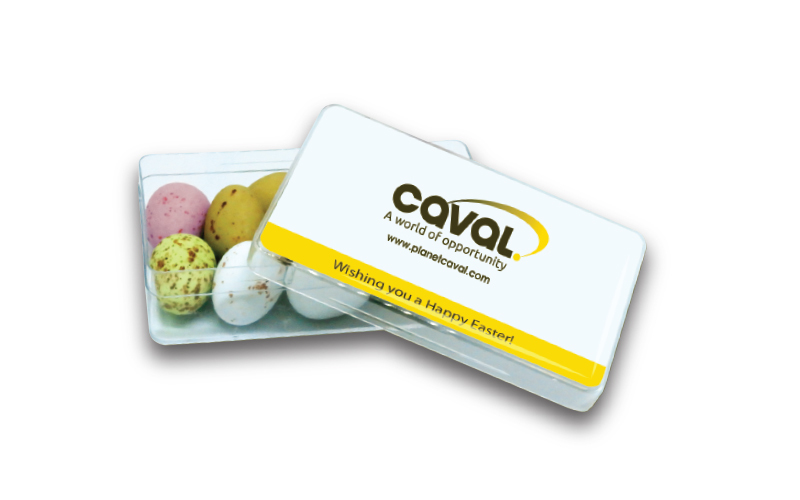 Our Easter Crystal is a great promotional merchandise during the Easter season. A Clear plastic box, with a choice of filling, either foiled Mini Eggs or Candy Coated Speckled Eggs. We then add your personalisation to the lid with a domed, resin label. The box can be reused, meaning your branding could be on display long after the contents are gone. Other filling are available with our Large Crystal Box.